The deadline for requesting on-campus housing has passed. We can still try to add participants to the room reservation, but we cannot guarantee availability at this point. Please contact Jennifer Baker at jbaker@nyu.edu for information. These dorm accommodations are non-smoking, two- or four-person suites in an NYU residence hall. Suites are air-conditioned, furnished with bed linens and towels, and equipped with wireless internet service. ​See the link below for more information. For those not opting to stay in campus housing, click below for a downloadable a list of hostels and hotels in downtown New York and beyond. 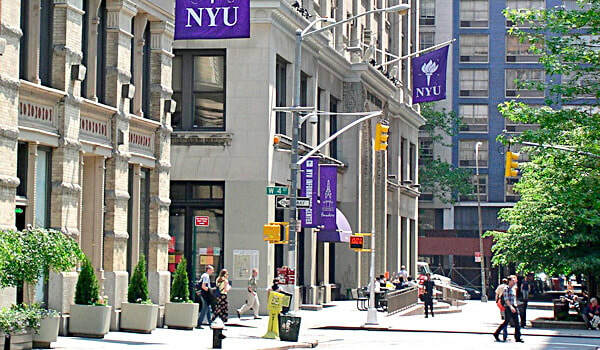 See the link below for a list of hotels that have negotiated special rates with NYU. Non-NYU faculty/students cannot book through the link below, but they can call hotels directly to inquire about the negotiated NYU rate for conference attendees. Please contact Jennifer Baker at jbaker@nyu.edu if you need verification of your attendance or other assistance. Apartments and bedrooms are also available for short-term rental through Airbnb. In an effort to expand and diversify the participants in the biannual conference, the Melville Society has awarded eight travel grants to defray the cost of attendance for scholars of limited means (i.e. contingent faculty, graduate students without travel funding, scholars who are not otherwise able to afford international travel, or independent scholars). The grant competition has closed for the 2019 conference, but the Melville Society hopes to offer travel grants for future biennial conferences. Please consider making a tax-deductible donation to the travel grant fund.